Dark Star, the renowned West Sussex craft brewer, has today joined forces with Fuller’s to grow the business and take the brewer’s brands to a wider audience. The deal, which sees Fuller’s take a 100% stake in the business, will give Dark Star access to the funds it needs to invest in new markets and increase sales of great beers such as Hophead, APA, Dark Star Original and Revelation as well as Dark Star’s wide range of seasonal brews. Brewing will continue at Dark Star’s Partridge Green site, Managing Director James Cuthbertson will remain at the helm and the brewer will continue to operate as a standalone business. Simon Dodd, Managing Director of The Fuller’s Beer Company, said: “Following on from the success we have had with our acquisition of Cornish Orchards, we have been looking at similar opportunities to invest in and work with young, exciting companies that have a similar ethos and commitment to quality as Fuller’s. 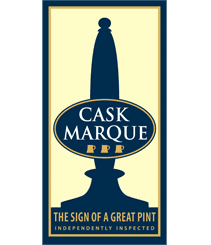 Following discussions with James and the team at Dark Star, we could see that we could add real benefit to the Dark Star business and it provides a great new range of delicious cask beers that will enhance the Fuller’s portfolio.